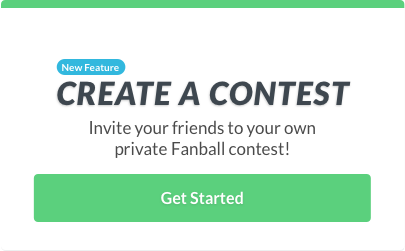 Welcome to the Fanball FAAB (Free Agent Acquisition Budget). Each week, we’ll provide advice on which free agent players you should be looking to add to your roster. Following each write-up, we’ve recommendation how much of your overall free agent acquisition budget you should spend on each player. 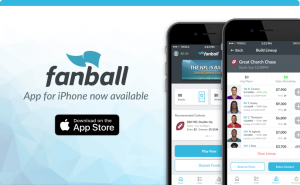 Don’t forget to join the FREE Week 1 Charch Chase Challenge on Fanball. There’s $3,000 in prizes in Week 1, and if you beat Paul Charchian’s lineup you’ll earn a ticket to the end-of-season Charch Chase Championship with a $5,000 grand prize. Foles will start 2018 like he ended 2017 – as the Eagles’ starting quarterback. With Carson Wentz continuing to rehab his torn ACL, the Eagles will play it safe and start their Super Bowl-winning QB in Week 1 (and possibly longer). It’s unlikely that Foles will recapture his magical playoff run from a year ago, especially with top WR Alshon Jeffery expected to miss at least the first two games, but the Eagles early-season schedule (vs. Falcons, at Bucs, vs. Colts) is favorable enough that Foles could be useful in 2-QB or QB-Flex leagues, and as a fill-in for Wentz if Wentz was set to be your primary starter. Darnold will open the season as the Jets starting quarterback, winning a competition that wasn’t really a competition over backup Josh McCown and Teddy Bridgewater, who was traded to the Saints near the end of the preseason. Darnold wasn’t overmatched in his preseason tune-ups, completing 64% of his passes with two touchdowns and one interception. He’s sure to make plenty of rookie mistakes in the early going and will likely only be fantasy relevant as a streamer in extremely advantageous matchups. You won’t want to use him in Week 1 on the road in Detroit, but Week 2’s home debut against the Dolphins is somewhat intriguing if you are in a 2-QB league. Jerick McKinnon’s season-ending ACL injury leaves a gaping hole in the 49ers backfield. Morris was signed in mid-August when the Niners’ top three backs were all battling injury, and suddenly now finds himself in the driver’s seat to open Week 1 as San Francisco’s starter. There is nothing dynamic or particularly exciting about Morris, but he did run for 4.8 yards per carry with the Cowboys last year, including several games as the Dallas workhorse after Ezekiel Elliott started serving his suspension. He offers nothing in the passing game and will have to fend off the younger, more explosive Matt Breida, but Morris is the easy bet to get the carries on first and second downs, as well as at the goal line. Those who lost McKinnon need to aggressively pursue both Morris and Breida, with Morris being the preferred option in standard, non-PPR, and touchdown-heavy leagues. Were it not for a shoulder injury early in training camp, Breida may have made it unnecessary for the 49ers to have even added Morris in the first place. 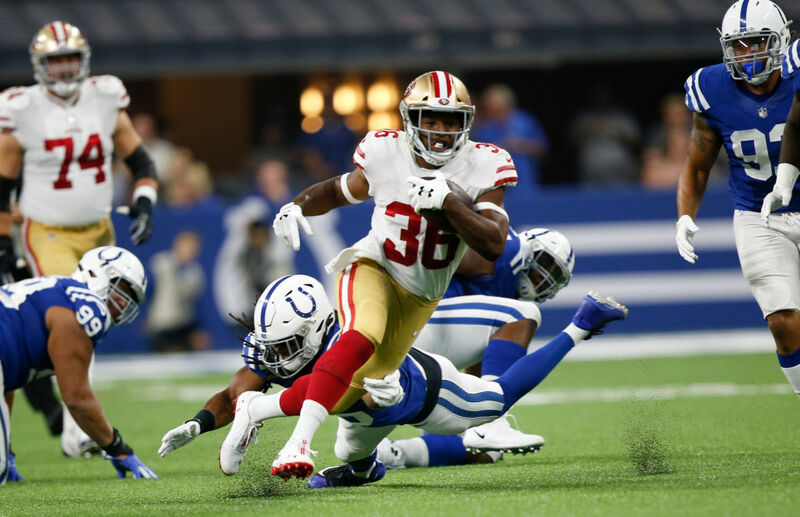 After a surprisingly effective season last year as Carlos Hyde’s backup, Breida stood out during the first week of training camp before going down with the shoulder injury. He’s now been cleared for Week 1, but is likely behind Morris in the pecking order – at least in the early going. He’ll have an immediate role as a change-of-pace runner and in the passing game, which makes him a more appealing add in PPR scoring systems. Fantasy owners who don’t necessarily need a Week 1 impact should consider adding Breida instead of Morris, as he has far more compelling upside than the plodding, one-trick veteran. Note: You won’t want to start either Morris or Breida in Week 1 against the Vikings – last year’s stingiest run defense. The Patriots released Brandon Bolden and Mike Gillislee, leaving a stable of running backs behind – including Sony Michel, Rex Burkhead, White and Jeremy Hill. The rookie Michel missed nearly a month of training camp after a knee procedure and has all but been ruled out for Week 1. That leaves Burkhead in the driver’s seat for workhorse and goal line duties, but White should be heavily involved in the passing game. The absence of slot WR Julian Edelman means White was going to be active in the short passing game anyways, but with Michel also out of action White could be a PPR gold mine in the first few weeks of the season. White is a free agent in only about 20% of leagues, but it’s worth checking your waiver wire in case yours is one of the 20%. Oh man, here we go again. Michael just won’t go away. He’s now surfaced as the potential Week 1 starter for the Colts as starter Marlon Mack continues to nurse a hamstring injury. There are a ton of “ifs” here as it’s not even confirmed yet that Mack will actually miss Week 1, nor is it clear whether it would be Wilkins or Michael who fills in as the starter. Either way, both will probably play, and Nyheim Hines can’t be completely ruled out despite a horrific preseason showing. There’s a lot to wade through here, but if you’re desperate for a Week 1 starter it’s worth the effort of following the news to determine who ultimately gets the start. The smart bet is on Wilkins to get the start, but for Michael to also be involved. The Colts’ Week 1 opponent, the Bengals, allowed more total yards to running backs than any other team a year ago, so there’s potential for some sneaky fantasy production here. I’d prioritize Wilkins over Michael, just barely, and wouldn’t pursue either unless I was completely desperate or just happen to have an empty roster spot (or two). When Jonathan Williams was unexpectedly let go on cut-down day, it left Scott as the top backup to starter Alvin Kamara – notable because of Mark Ingram’s four-game suspension to start the season. Scott was a sixth-round draft pick out of Louisiana Tech and had a solid preseason (25 carries, 121 yards), but it’s tough to envision him having anything close to an Ingram-like impact in the early going. The Saints are already flirting with castoff veteran Mike Gillislee, so it wouldn’t be surprising if Scott slides back down the depth chart again this week. However, if the Saints don’t bring in a veteran back this week, Scott is likely in line for 8-10 touches in Week 1 against a vulnerable Buccaneers defense. Expected to be an occasional deep threat as the Eagles No. 3 wideout this season, Wallace will be thrust into a more prominent role due to Alshon Jeffery’s shoulder injury, which will keep him out of at least the first two games. Wallace had one catch for three yards in the preseason with his new team, and he’ll be catching passes from Nick Foles, not Carson Wentz. Still, with a decent opening two weeks (Vegas has pegged the Thursday night opener against the Falcons with a relatively healthy 47 over/under, and Week 2 brings the Buccaneers, last year’s friendliest WR defense. Wallace could help fantasy owners in need of a replacement for Jeffery. Allison won the Packers’ No. 3 WR spot with a solid training camp, holding off a trio of rookies drafted to presumably take his spot behind Davante Adams and Randall Cobb. Cobb plays primarily out of the slot, so Allison will get plenty of looks on the outside opposite the explosive Adams. Allison is more of a long-term stash than a short-term fix, but the upside is undeniable in an Aaron Rodgers-led offense. Devante Parker still hasn’t been cleared to catch passes several weeks after suffering a broken finger, which thrusts both Wilson and Amendola into greater focus in Miami. Amendola already had a role as the slot receiver even if Parker was healthy, but he has a chance to be a focal point for Ryan Tannehill if Parker can’t go in Week 1. Amendola is the safer play, but Wilson has more upside. An effective slot receiver a year ago, Wilson was handed a $24 million free agent contract by the Dolphins, moved to the outside to make room for Amendola, and then buried at No. 4 on the depth chart. Still, if he shines as the presumptive injury fill-in for Week 1 (or beyond), he could unseat the wildly disappointing Parker altogether. Amendola is your Week 1 quick fix, and Wilson is your long play if you have an empty spot at the end of your roster. Already a mess from a fantasy perspective, the Jaguars WR situation isn’t much clearer after Marqise Lee’s season-ending injury. Keelan Cole and Donte Moncrief are set to start the season atop the depth chart (and are both worth adding if for some reason they are available in your league), but neither have done enough to be considered locks to stay there. Westbrook had a couple of solid games behind Allen Robinson and Allen Hurns after missing the first 10 weeks of his rookie season last year, but clearly isn’t seen as the answer since the Jaguars gave Moncrief a huge contract and drafted Chark in the 2nd round of the 2018 draft. Chark is a physical specimen (6-4, 4.34 40-yd dash) who had an impressive camp that he failed to translate to preseason success (3 catches, 25 yards), and is the higher upside choice over Westbrook for dynasty league players. Considering Moncrief has repeatedly disappointed and the general lack of experience ahead of him in the pecking order, it woudn’t be a shock if Chark emerges as a starter later in the season. Already on his third NFL team, Seferian-Jenkins played a career-high 13 games with the Jets a year ago and enters 2018 as the starting tight end in a nearly completely overhauled Jacksonville pass-catching corps. The oft-injured and perennially disappointing ASJ is unlikely to have a lasting impact on your fantasy lineup all year, but a Week 1 matchup with the annually TE-impaired Giants should have him on your radar as a streaming option. The Giants allowed a league-high 13 tight end touchdowns in 2017 and have spent the better part of the last decade proving completely incapable of defending the position.